From busking on the streets of her hometown in Omaha, Nebraska, to wowing the audience at Harlem’s world famous Apollo Theater, the singer-songwriter Jocelyn knows how to shine for a crowd. 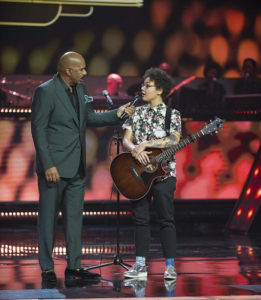 The 21-year-old BMG signed artist, armed with her powerful voice, mesmerizing stage presence, rhythmic guitar playing, and tireless work ethic, puts the heart into Heartland, utilizing her natural talent and mature perspective to connect with listeners no matter what venue she plays. Jocelyn has captivated audiences around the world through her earnest music videos and performances and is soon to earn more fans with her first single,“Speak Up.” And with more music on the way, she will be sure to win over fans as she brings her inimitable style to the masses. Jocelyn has been featured on Undercover Boss with Music superstar Darius Rucker! Jocelyn also opened for Darius at Harrahs Stir Cove in Iowa. Five time nominated (the youngest ever) for the Omaha Entertainment and Arts Awards including best singer/songwriter, artist of the year, and winner for Best Pop Artist Jocelyn has mesmerized audiences at countless local and regional shows across the Midwest and has been a featured performer at the legendary Whiskey A-Go-Go on LA’s Sunset Strip (5x) Genghis Cohen – LA, Acoustic Long Island at Deepwells Mansion – Long Island, NY, and Nashville’s famous songwriter haven, The Bluebird Café etc. Besides writing and performing great hooky songs Jocelyn is also an artist that is a true role model for young people participating in Middle and High School motivational and positive rallies in her community. Her message is to let young people know they should love themselves and each other, and that they can accomplish anything they set their mind to. Jocelyn’s burning sincerity and authenticity, and her soulful, intelligent and relatable songs of life’s discoveries, challenges, love, and hope put her in rare company. This artist is on track for commercial and artistic success on a grand and lasting scale. 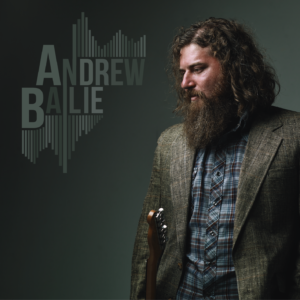 Andrew Bailie is an American songwriter, singer and guitarist. His intricate songs are crafted with raw emotion, fierce guitar work, and an unmistakable, soaring voice. Drawing elements from a variety of musical styles and traditions, Bailie’s songs are woven from his own hopes, fears and enchantment, tapping into the common human experiences that give us pause, inspire longing, or set us ablaze. After extensive touring across the US and Europe with legendary gospel and funk organist Cory Henry (Snarky Puppy/Funk Apostles), Bailie relocated from New York City to Omaha (where he grew up) in order to pursue a new project with jazz great and sensei Dana Murray (Wynton Marsalis/Jimmy Witherspoon/Norah Jones). He is best known locally for past projects the Jazzwholes and It’s True. Bailie has also worked with platinum recording artist Aloe Blacc, members of Snarky Puppy, Ms. Lauryn Hill, Mononeon, Marcus Lewis, and shared the stage with Res, Talib Kweli, Lalah Hathaway, George Clinton, Marcus Miller and others. He has performed at the Monaco, North Sea, Vienne, Sète and Umbria Jazz Festivals across Europe and is set to release a collection of songs entitled “Wasteland” available soon.